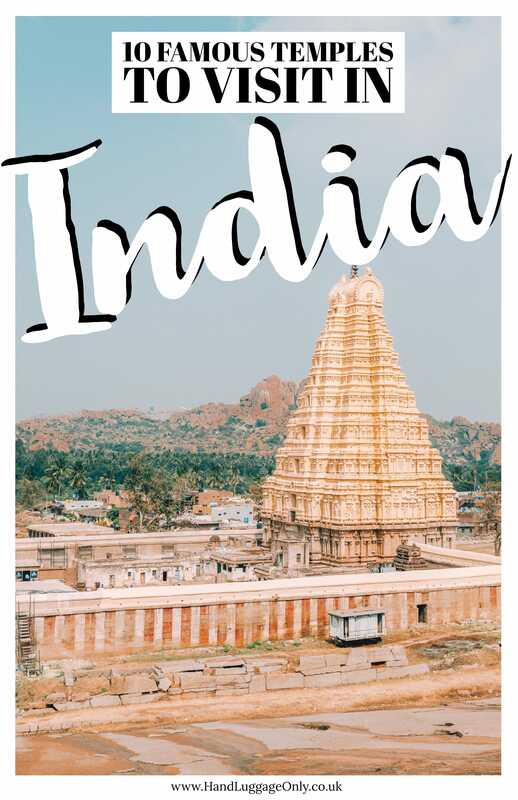 India is as vast as it is beautiful, especially with all the famous temples in India that are dotted all across the country. 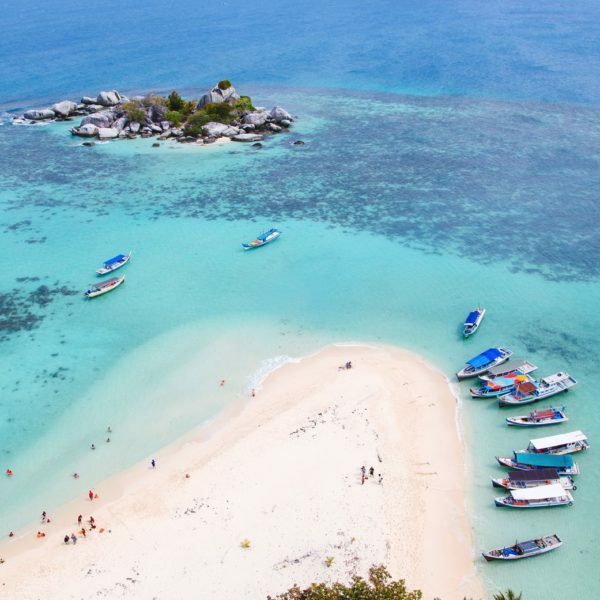 From its mountain passes, remote jungles to its bustling streets, it’s a country steeped in amazing places to see. Better still, it has some of the best and most famous temples in India that you have to visit during your trip. 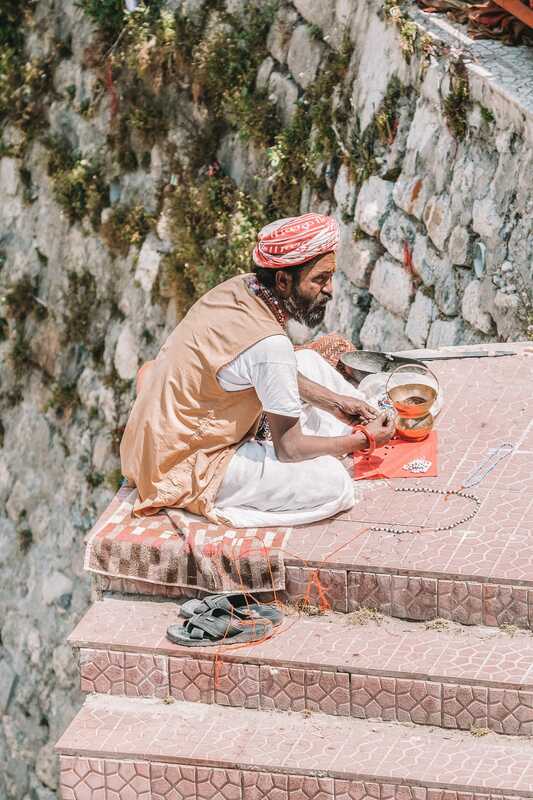 If you’re anything like me, you’ll always want to dive right into the local culture and history of the places you visit, with a trip to India offering amazing places to do just that. Rising high into the sky, these architectural marvels number in the thousands and are some of the most sacred places in the country. Located in the Uttarakhand area in the Himalayas, this is one of the most famous temples in India that is dedicated to Vishnu. It is also one of the four Char Dhams, which are the holiest temples in India. The four Char Dhams represent the four directions, with Badrinath representing the North. 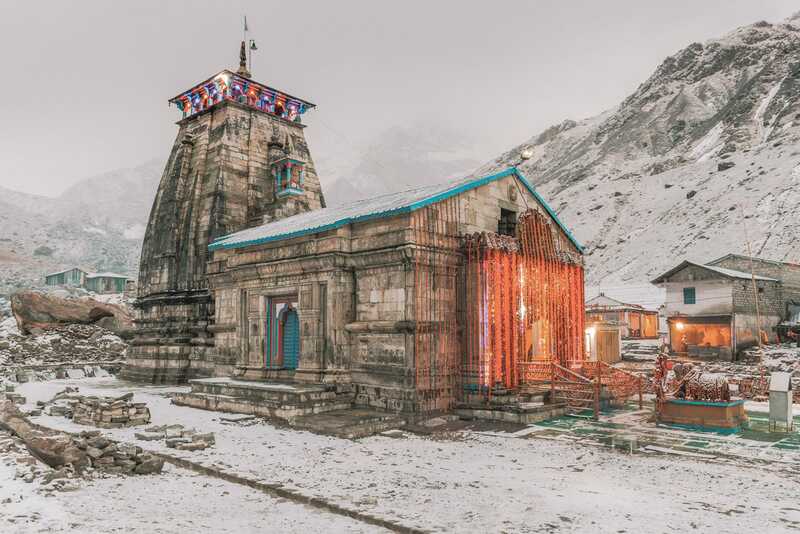 Now, the temple sits, a whopping, 10,248 feet (3,133 m) above sea level and can only be accessed in the summer months, when the weather is more tolerable and less chilly. 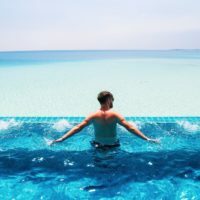 So make sure to consider this before your trip. 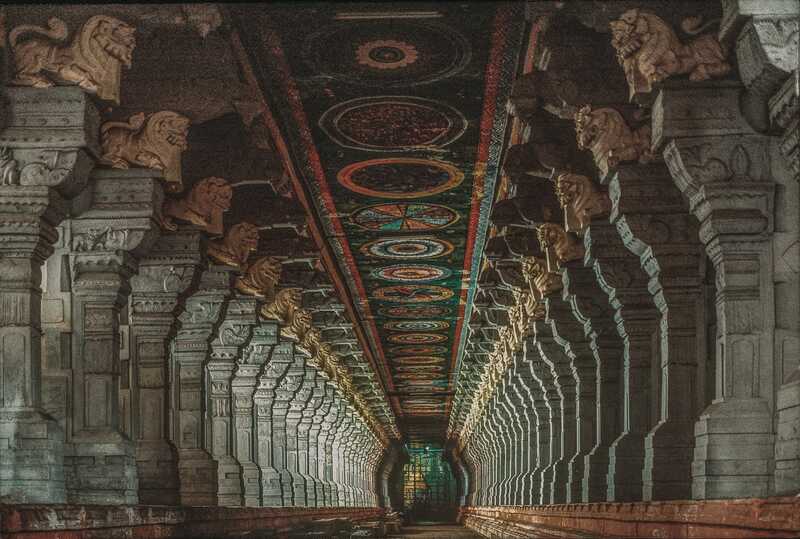 A second temple of the Char Dhams, Rameshwaram, also known as Ramanathaswamy, represents the South. 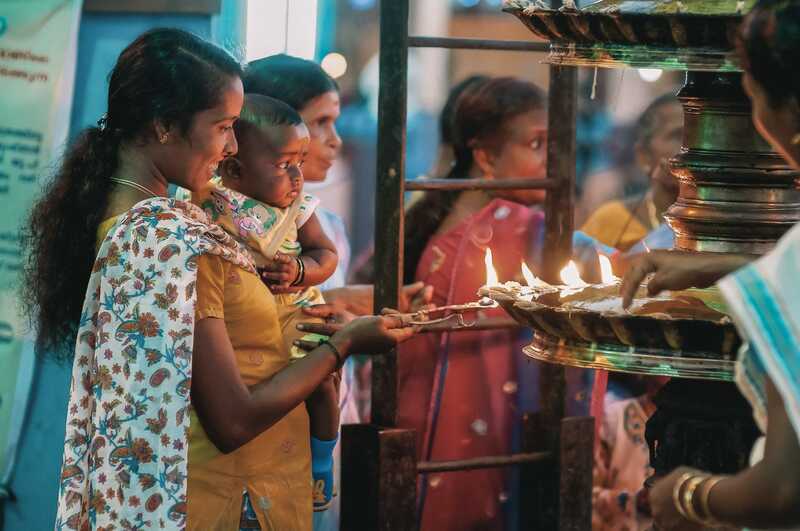 Located on a small island between India and Sri Lanka in an area known as Tamil Nadu, the temple has several shrines attached to it. It is one of the most famous temples in India, which is dedicated to Shiva. Originally a small thatched hut, many thousands of visitors slowly added to over many hundreds of years. 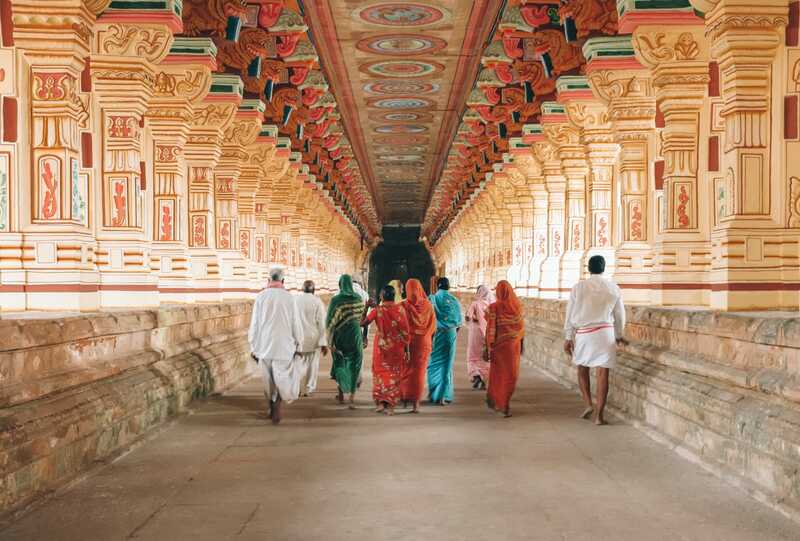 It’s a great place to experience this unique temple and perfect to pair with a visit to the southern regions of India, or even the stunningly beautiful Sri Lanka. 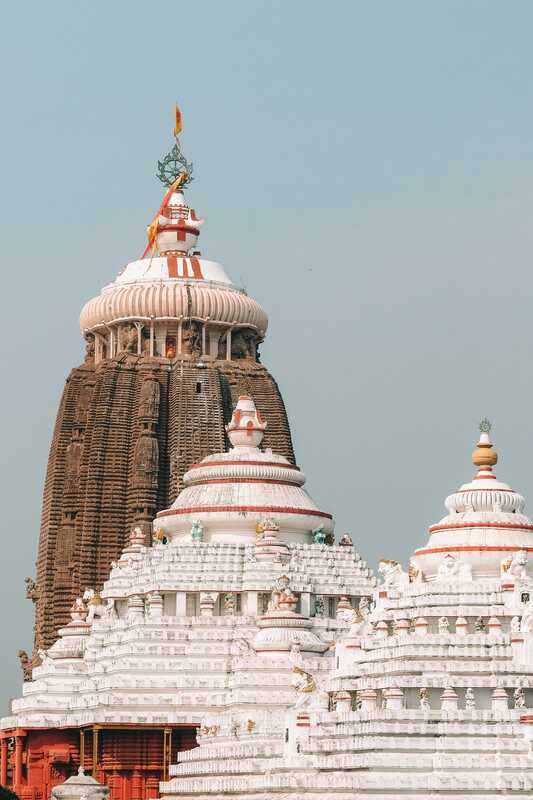 The Jagannath temple in Puri, located on the eastern coast of India, is the third of the four Char Dhams. Jagannath represents the East, which is appropriate since it looks east out over the Bay of Bengal. Here, Krishna is the god worshipped, with access to the temple only granted to Hindus, it’s not easily explored by everyone. But don’t fret, Non-Hindu visitors can still view one of the most famous temples in India from nearby. 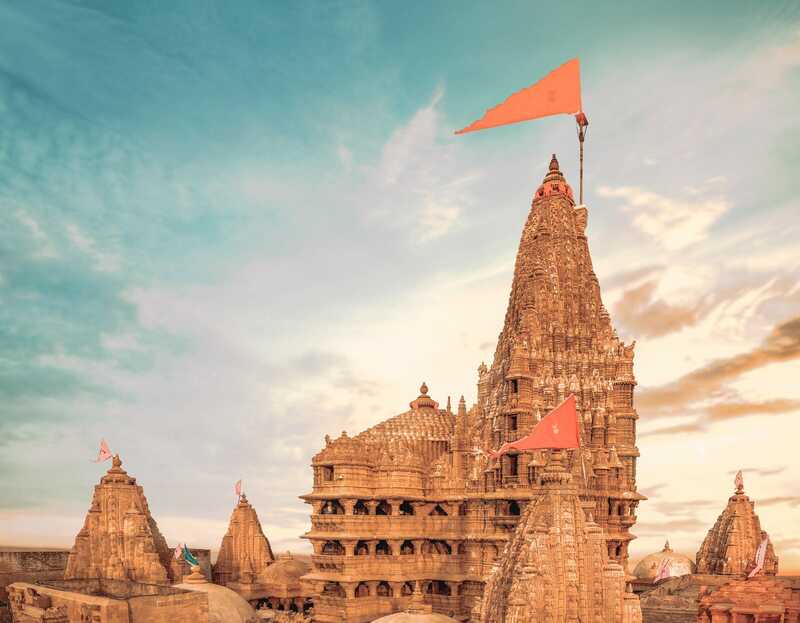 Located in the town of Dwarka on the Arabian Sea, the Dwarkadhish Temple is the fourth of the Char Dhams, representing the West. 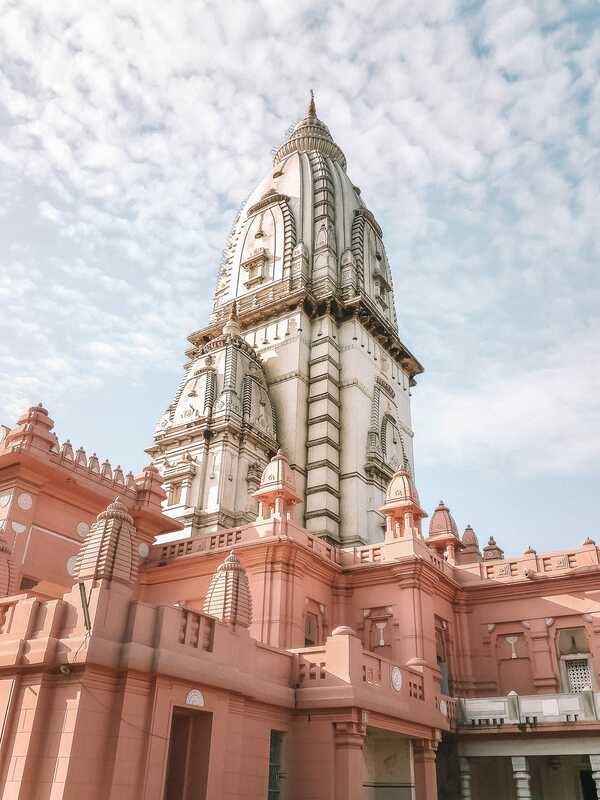 The temple itself is dedicated to Krishna and has a signature 56 steps leading to the rear. The temple, which dates from 400 B.C., sits near the Gomti River, which is totally serene and beautiful. Make sure to visit around sunset for some stunning orange hues, too. 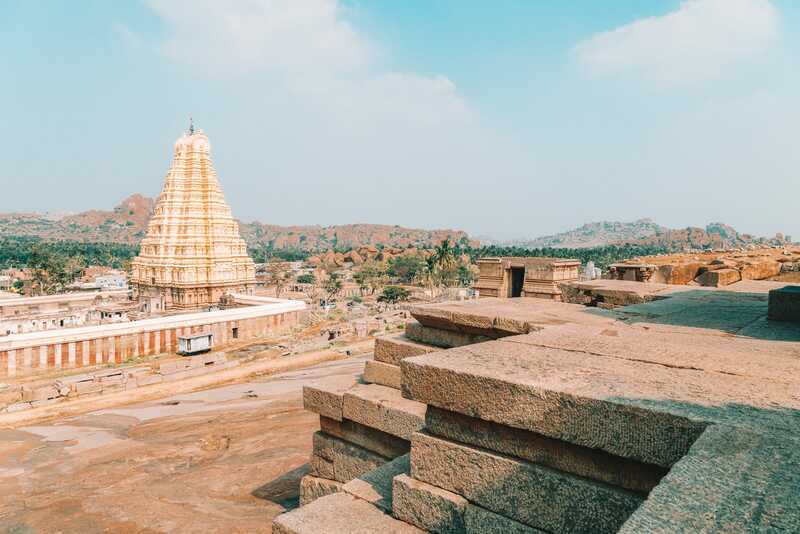 Found in the village of Hampi, the temple is a UNESCO World Heritage Site, along with many of the other buildings in Hampi. In the days of the Vijayanagara Empire, dating from 1336-1570A.D., Hampi was the seat of this impressive empire. 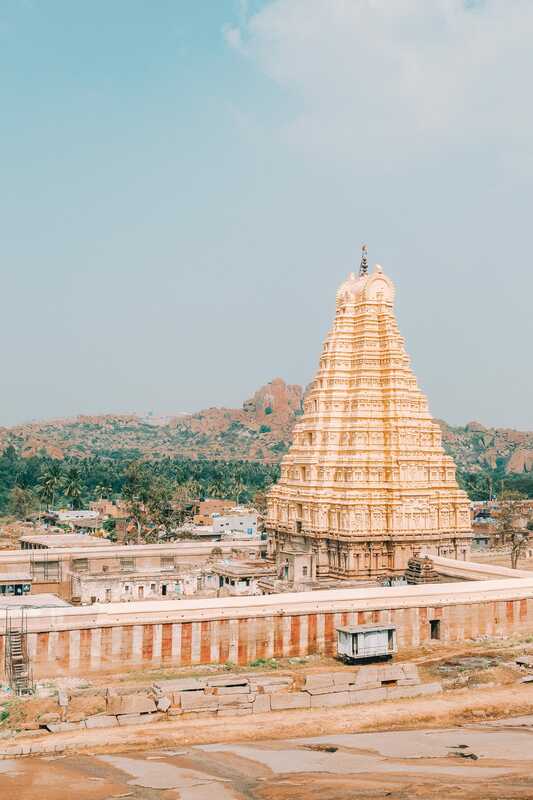 Sri Virupaksha is one of the most famous temples in India that’s filled with stunning architecture. In an area in northwestern India lies the town of Pushkar. 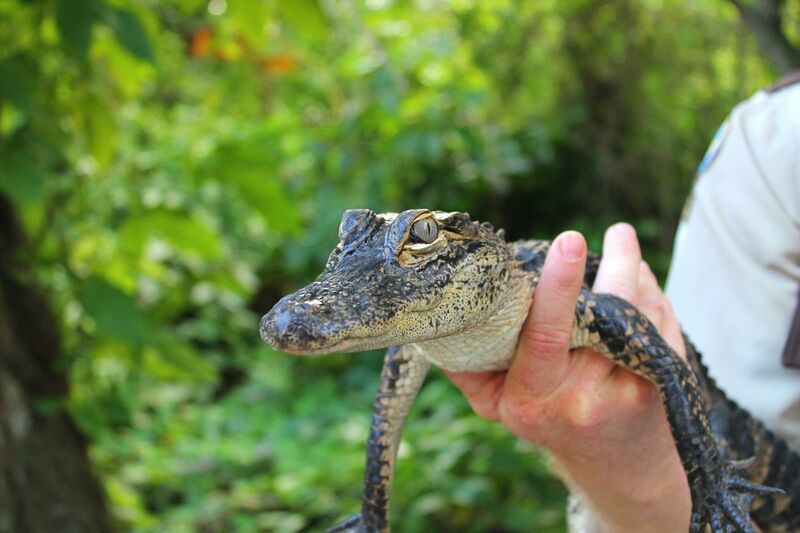 The town itself is home to one of it’s most prized residents, its sacred lake. Nestled next to this sacred space is one of the most famous temples in India that’s dedicated to Brahma. Legends give different reasons as to why Vishnu and Shiva have so many temples, while Brahma has just a mere few. It’s thought because Brahma was the ‘creator’, his job has already been done, whereas Vishnu and Shiva still had plenty of work to do. Thankfully, the temple in Pushkar is dedicated to Brahma, allowing everyone a chance to see a temple for him. 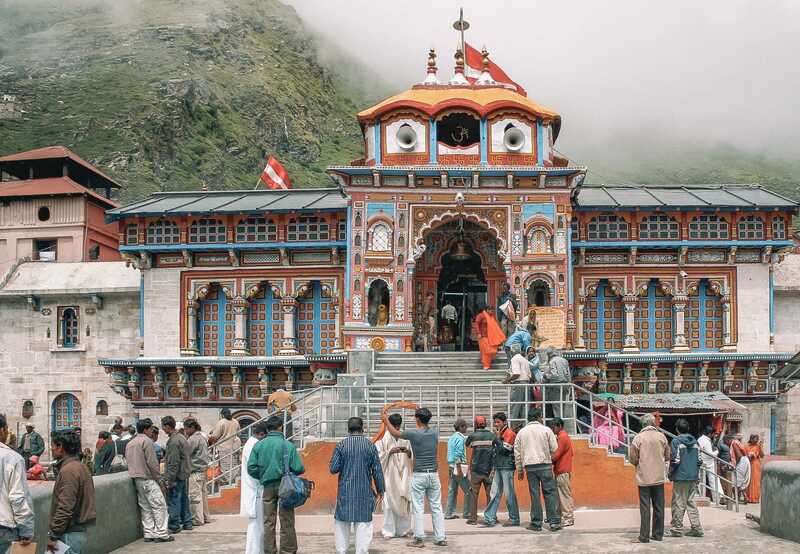 Now, one of the most famous temples in India is found in the Uttarakhand region in the Himalayas. 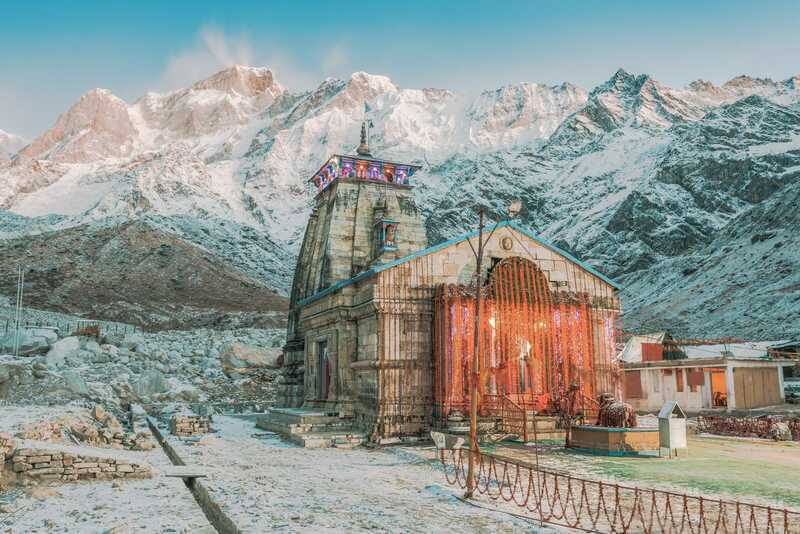 Kedarnath is an extremely sacred Shiva temple that lies 11,755 feet (3,583 m) above sea level, meaning it is another temple which is almost unreachable in the winter. Visitors and Hindus making pilgrimages to the temple have to wait for the summer months to be able to reach it. 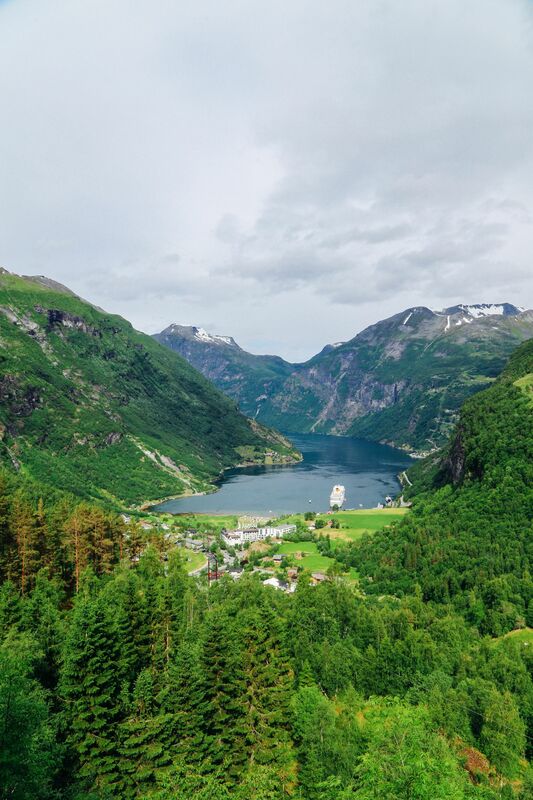 The pilgrimage to this 8th-century temple requires an 8 mile (14 km) hike through the mountains, which can be quite strenuous, especially if you’re not a seasoned walker/hiker. The city of Varanasi has long been considered the spiritual capital of India. People from all over the world come to bathe in the, believed to be, healing waters of the River Ganges. 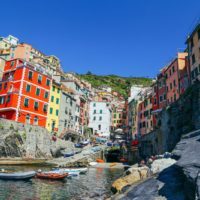 The city is also one of the oldest in the world, dating back to the 11th century B.C. 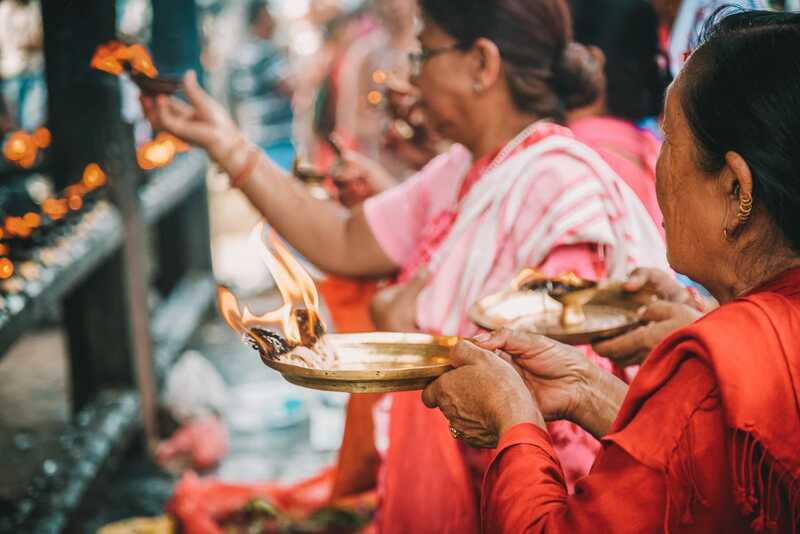 A visit to Kashi Vishwanath is also believed to be a way to achieve Moksha, which is said to ultimate liberation from being reborn through the laws of Karma. The oldest and largest temple in the Temple City of India is Lingaraja, a popular temple for both Hindus and us travellers. Located in Odisha, the temple is dedicated to both Shiva and Vishnu; combining the two gods is apparently called Harihara. Don’t forget to experience Lake Bindu Sagar too, it is believed to have healing properties and lies behind the temple itself. Only Hindus are allowed to enter this temple, but non-Hindu visitors do have a viewing platform to see this incredible place too. 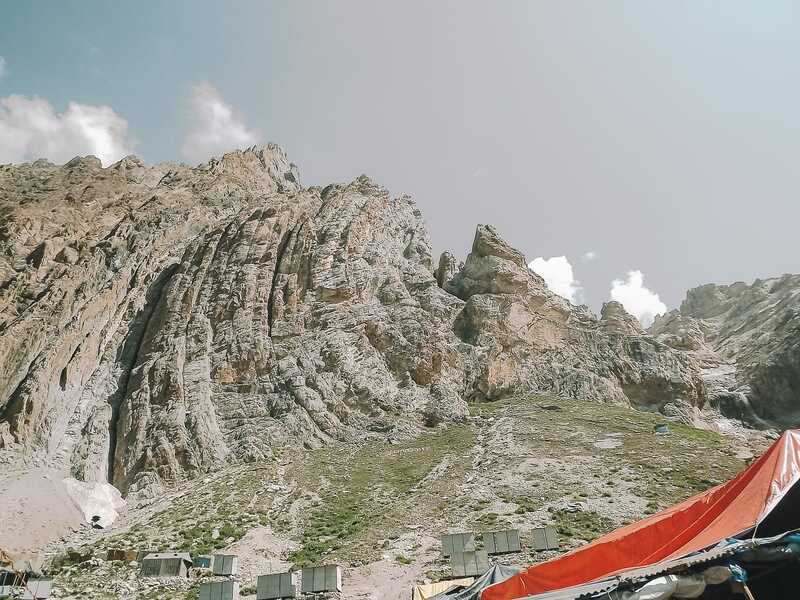 Located in northern India in the snowy Himalayas, the Amarnath Cave Temple is another mountain temple that is only accessible is advisable to visit in summer. The cave is about 5,000 years old, and pilgrimages to the temple are 40 miles (64 km) long and usually takes five whole days. This pilgrimage or hike is not for the faint-hearted, so prepare well and make sure you have enough supplies for your trip.